1) Sprinkle tuna with salt and pepper, Sear in butter until just tender. I like leaving it slightly pink in the middle. Break apart with fork or pull in apart with your fingers. 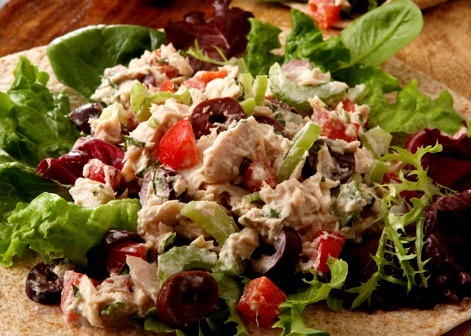 2) Drain canned tuna well. 2) Place drained can of tuna, Dijon mustard, lemon juice, dill and toasted sesame oil in food processor. Blend until creamy in food processor.